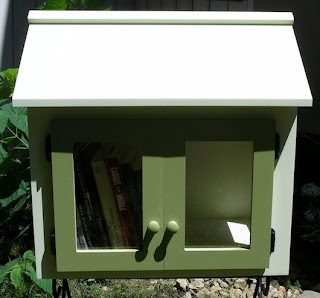 Relaxshacks.com: Tiny House Libraries- Mailbox-style micro-libraries around the U.S. Tiny House Libraries- Mailbox-style micro-libraries around the U.S. The WORLD's smallest libraries! or "Ultra-Tiny Houses for Bookworms". I think I just may have to build one in my own yard (we have alot of foot traffic that goes by us) at some point, as the idea is fun, and its a beneficial, positive concept. I also have a TON of books, and some good ones too, that I could certainly part with....and I could donate a few copies of my book "Humble Homes, Simple Shacks" in hopes that some kid might pick it up and become inspired/a future builder. 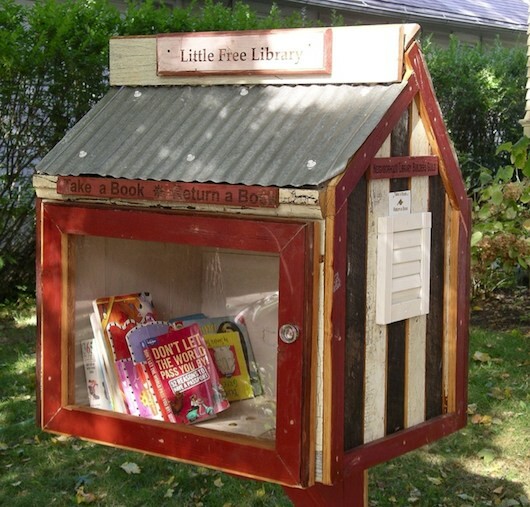 These tiny house libraries aren’t exactly the kind you’d be able to walk into. But they’re all unique and serve a great purpose because they promote learning and literacy. 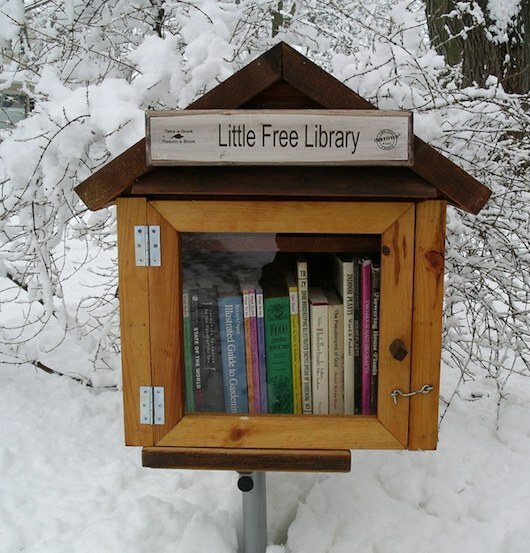 They improve communities by providing free book exchanges for people. That’s more than Andrew Carnegie! They can also be used to raise money for clubs, scout troops, churches, high school organizations or other community groups. Todd Bol and Josie Pradella are the founders. I haven't researched this thoroughly enough to see if they have a take it or leave it policy, but I imagine they would, or should- this way the supply of books would continue. So far, these little libraries are spreading like wildfire around Wisconsin- and slowly nationwide as well. In the meantime, if any other authors out there, especially tiny living, or design ones, would like to donate any books for this eventual build, and video shoot most likely, do contact me. As I mentioned, I'll gladly donate a few copies of my own book (below).